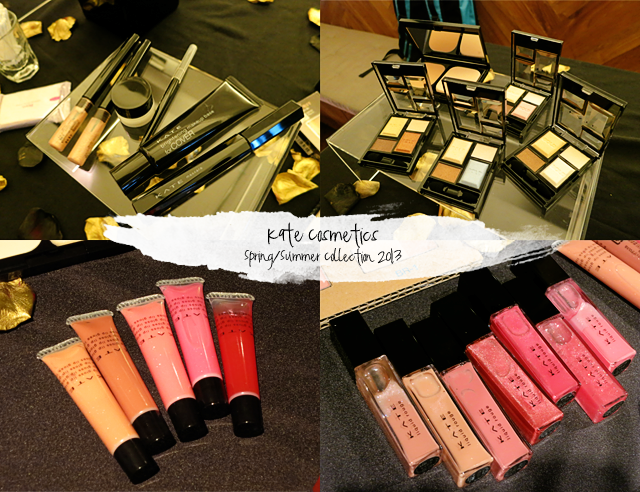 A while back, I attended the launch of Kate Cosmetics' Spring/Summer Collection 2013. This collection is all about 'mesmerizing the world with shiny high-impact eyes and flawless skin'. Expect various shades of gold for a glamorous and sophisticated look that can take every girl from day to night events! Makeup artist, Lolent Lee, was there to do makeup demonstrations with the Goldish Eyes in GD-1. Yina, who's on the left, has the day look on while Clara has the night one. Kate Cosmetics' Spring/Summer Collection 2013 is available at selected BHG, Guardian Pharmacy, OG, John Little, Metro, Nishino Pharmacy, Sasa Cosmetics and Watsons. SPOTTED: N.E.mation! 8 is back!